We like to shake it up a bit on our activity weekends. After all, we can’t let those precious free days go to waste. This is when The Amazing Blog discovered Williams Handmade, a company who specialises in craft leather goods. They offer several leather-working workshops, like the Half Day Clutch Bag/iPad Case Course. Designer Sarah Williams founded Williams Handmade in 2010. As award winners of the Accessories Collection of the Year Award at ITS#NINE, The Accessory Award from Absolut Vodka, and taking part of the “Power of Craft” exhibition at the Victoria and Albert Museum, Williams Handmade truly deserves the description of high-quality craftsmanship. The company has also been shortlisted for the Ketel One Modern Craftsman Award and was nominated by Selfridges as one of their Bright Young Things. From glasses cases to bags, Sarah Williams creates each of these items herself in the Williams Handmade Workshop in Bircher, Leominster which is located on the Hereford/Shropshire borders. If you love to support local artisans as we do, you should also know that the products are made from English Bridle leather coming from Northamptonshire. We’re particularly excited about their Half Day Clutch Bag/iPad Case Course. By the end of the day, you’ll have your own clutch bag or iPad case to bring home and put to use. Our team members have never worked with leather before, but luckily there’s no need for prior experience to take this course. The day entails learning the basics of leatherwork (i.e. how to cut and prepare leather), the traditional saddle stitch, and learning how to finish the edges. You also get to choose your preferred colour and pattern combination, so your lovely bag or case is just to your liking! The Williams Handmade Half Day Clutch Bag/iPad Case Course runs from 9am-1pm on the 20th of October for £65. Tea, coffee, and cake are included. If you’d like to spice up your Saturday with this fabulous course, click here. If you’re interested in finding out about their other classes, click here. Sundays are for strolling. After an exciting Friday and jam-packed Saturday, we at The Amazing Blog like to have a bit of a change of pace... The Cheshire Street Market is new to the market scene and strives to support local traders, crafters, and artists who work with recyclable materials, fair trade products, homemade and locally sourced crafts and fashions. Located on Brick Lane, the Cheshire Street Market has an enjoyable, family-friendly environment that we have the pleasure of checking out! Revived by the East End Traders Guild, the Cheshire Street Market has a showcase for independent designers to present their polished work to the public. As you may know, The Amazing Blog team are huge fans of art and artisan products, like homewares, art, crafts, jewellery, vintage fashions, and clothing. No worries, Cheshire Street Market has it all! It’s powerful to see in person the hands that made the items we take home. If you’re more of a foodie than you are artsy, not a problem! There are plenty of products tailored uniquely to you such as sauces, spices, and chilli plants. We love how the products are handmade, sustainable, and locally produced—far more meaningful than being mass-produced. We are definitely going to get creative in at least one of their offered workshops to hone new skills! Pop by from any Sunday in September 10.00-16.00 to enjoy the lingering summer heat and discover new artisan products! Also to quickly add, many thanks to Cutlass Comms for sending us information and images which were kindly donated by Phil Maxwell and assorted photographs by Jeremy Freedman and Rossana Leal. 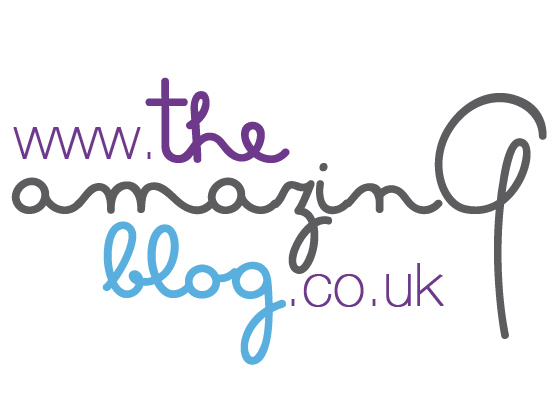 The Amazing Blog is seeking adrenaline junkies, adventurists and those unafraid of heights. Zip across the scenic Archbishops Park with Zip Now London is on until 9 September. During the trip, riders will see Lambeth Palace, Parliament, Millbank and Nine Elms. Join our team on the world’s longest and fasted urban zip line. Although there isn’t parking available on site, it’s just a ten-minute walk from the Waterloo station and the Vauxhall tube, train and bus station. Tickets vary according to packages and group rates. You can purchase an adult ticket for £26.50 or at a discounted price of £20 on weekdays. Tickets for 8 to 15-years-old are £18.50 or £15 on weekdays. Please note that children are welcomed to participate, but must be over the age of 8-years-old and over 1.2m tall. Opening times are from 12-20:00 on weekdays, 9:30-20:00 on Saturdays and 9:30-18:00 on Sundays.